He’s released the album in sections over the past month. Have you ever had a conversation with one of those people who always has to have had things worse than you? You tell them you overslept and missed your alarm, and suddenly they’re telling you about how they didn’t sleep at all the night before, got into a car accident on the way to work, got mugged and when they got to work and then realized it was a Saturday. You try to tell them anything, and their life is alway so much worse. It seems like they’re always trying to gain your sympathy, and the sympathy of anyone at all who will listen to them. That’s the kind of person Laurel Rose Willson was, times 100. Full text of speech delivered by the Chief of Army Staff Lieutenant General TY Buratai at the Chief of Army Staff first quarter conference and combat arms training week held at Jaji on 25 April, 2019. 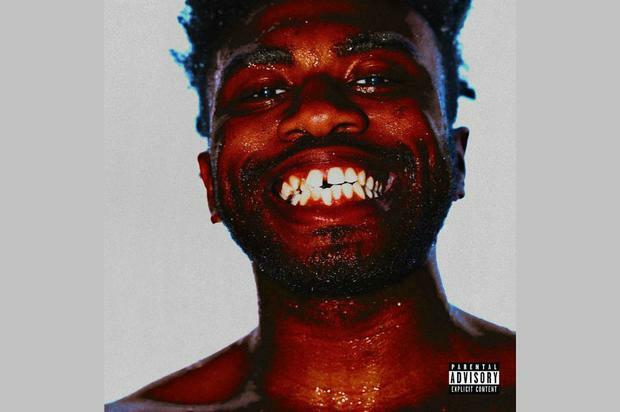 BROCKHAMPTON leader Kevin Abstract has released a new album titled ARIZONA BABY. It’s available to stream in full below via Apple Music and Spotify. Due out via Question Everything, Inc./RCA, the new solo collection marks Abstract’s first since American Boyfriend: A Suburban Love Story from 2016. It’s comprised of 11 tracks altogether, six of which already appeared on his two EPs from earlier this month, Ghettobaby and ARIZONA baby. Of the previously shared songs, “Corpus Christi” is of particular note. The track includes a reference to former BROCKHAMPTON member Ameer Vann, who was dismissed from the band following allegations of domestic abuse (“I wonder if Ameer think about me, or what he think about me,” Abstract can be heard rapping). The five songs exclusive to this new album are named “Use Me”, “Peach”, “American Problem”, “Crumble”, and “Boyer”. As with the pair of EPs, ARIZONA BABY was produced by Jack Antonoff, the Bleachers mastermind also known for his acclaimed work with St. Vincent, Lorde, and Taylor Swift. BROCKHAMPTON’s own Romil Hemnani also assisted Antonoff in the studio. ARIZONA BABY Tracklist: 01. Big Wheels 02. Joyride 03. Georgia 04. Corpus Christi 05. Baby Boy 06. Mississippi 07. Use Me 08. Peach 09. American Problem 10. Crumble 11. Boyer View this post on Instagram whole thang out tonight A post shared by kevin abstract (@kevinabstract) on Apr 24, 2019 at 10:54am PDT BROCKHAMPTON, our 2017 Rookie of the Year, released their last group album with 2018’s immaculate Iridescence. The rap outfit is scheduled to perform at a number of music festivals this summer, including Governors Ball, Bonnaroo, Firefly Festival in Delaware, and Lollapalooza Stockholm. Grab your tickets here. Grab all of BROCKHAMPTON’s vinyl releases by heading this way. After spotting some interesting military phones at a museum, [CuriousMarc] wondered what it would take to retrofit these heavy duty pieces of telecom equipment for civilian use. He knew most of the internals would be a lost cause, but reasoned that if he could reverse engineer key elements such as the handset and keypad, he might be able to connect them to the electronics of a standard telephone. Luckily for us, he was kind enough to document the process. There were a number of interesting problems that needed to be solved, but the first and perhaps largest of them was the unusual wiring of the keypad. It wasn’t connected in the way modern hackers like us might expect, and [CuriousMarc] had to end up doing some pretty significant rewiring. By cutting the existing traces on the PCB with a Dremel and drilling new holes to run his wires around the back, he was able to convert it over to a wiring scheme that contemporary touch tone phones could use. An adapter needed to be fabricated to mount a basic electret microphone in place of the original dynamic one, but the original speaker was usable. He wanted to adapt the magnetic sensor that detected when the handset was off the hook, but in the end it was much easier to just drill a small hole and use a standard push button. The main board of the phone is a perfect example of the gorgeous spare-no-expense construction you’d expect from a military communications device, but unfortunately it had to go in the bin. In its place is the guts of a lowly RCA phone that was purchased for the princely sum of $9.99. [CuriousMarc] won’t be able to contact NORAD anymore, but at least he’ll be able to order a pizza. The red buttons on the keypad, originally used to set the priority level of the call on the military’s AUTOVON telephone network, have now been wired to more mundane features of the phone such as redial. While this is fine for a one-off project, we’d love to see a drop-in POTS or VoIP conversion for these phones that didn’t involve so much modification and rewiring. Now that we have some documentation for things like the keypad and hook sensor, it shouldn’t be hard to take their idiosyncrasies into account with a custom PCB. Dragging vintage gear into the modern era is always a favorite pastime for hackers, so maybe somebody out there will be inspired to take on the challenge. On April 25, 1986, the Judds' 'Why Not Me' album was certified platinum, for sales of one million copies.